Back in 2013 one of my friends posted on Facebook that he had been out collecting dandelions in order to make wine and I thought that sounded like a great idea. I’m all for foraging and using natural stuff but if the end result is wine then all the better! I mentioned this to my wife but it kind of got shelved as I didn’t have the cash to go out and buy all the stuff I would need. 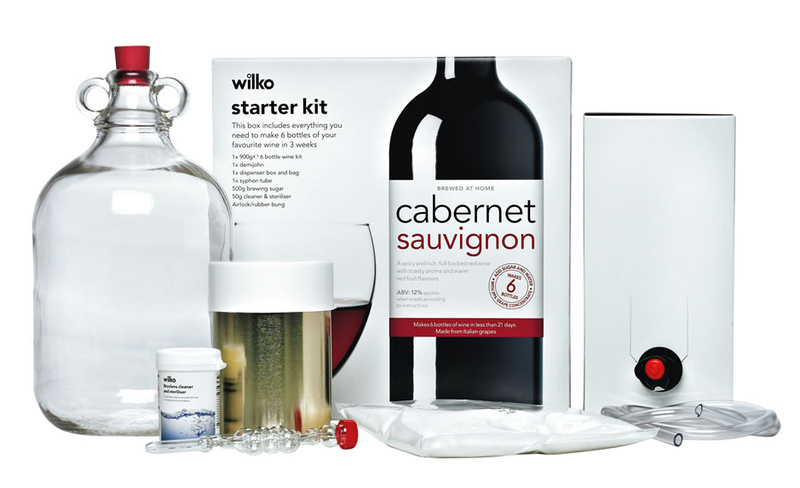 Then for my birthday in the December she bought me a wine making kit from Wilkinsons. However it got put to one side and events quickly overtook us – we decided to move from Kent back to my native north east and in all of the moving and changes the kit sat in the bottom of the kitchen cupboard for several years while all the ingredients went past their use by dates! Then during last summer I started to get to know the countryside around us better and started to find edible mushrooms and berries. One day while out picking blackberries I spotted some other berries hanging on a tree down a lane. 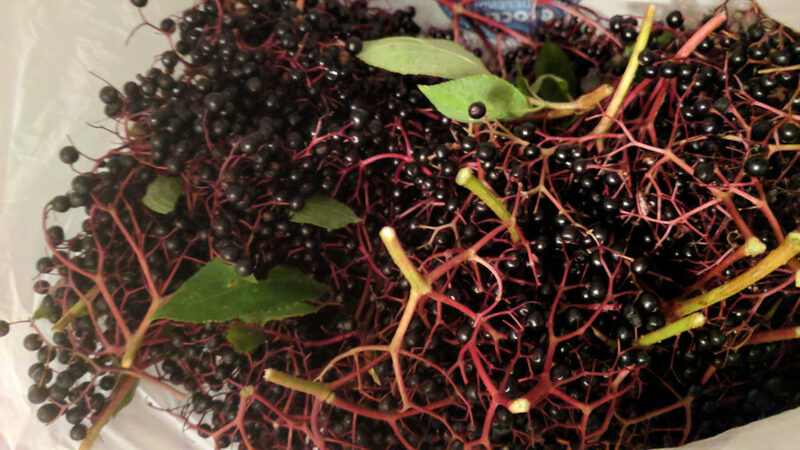 I took a picture and worked out that they were elderberries and as soon as I had my mind made the leap to Elderberry wine! I did lots of research and although there were lots of sites out there I found this one fired my enthusiasm more than most. 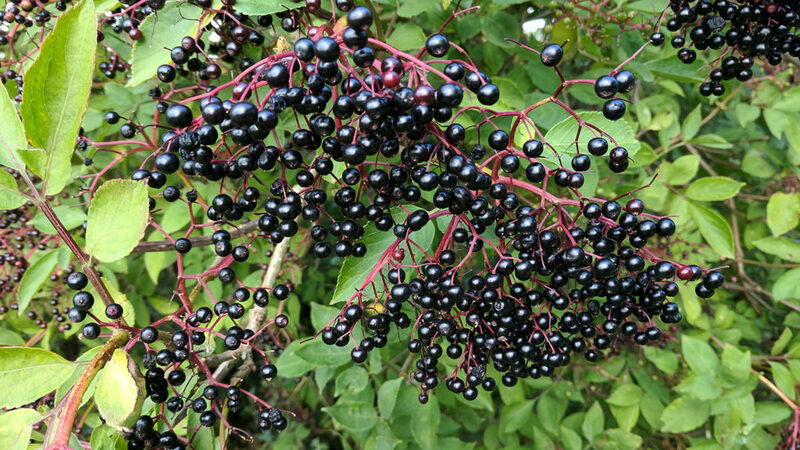 So the next time I was out with the dog I filled a poo bag (clean one obviously) with elderberries just to get an idea of how much that would equate to. 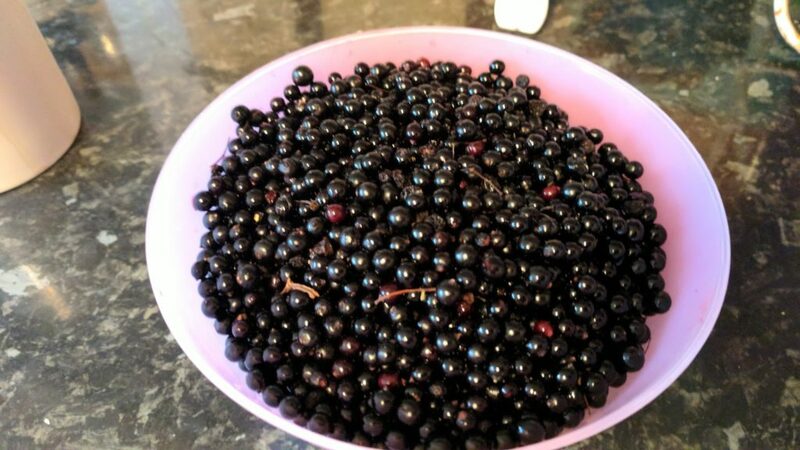 I discovered that the bag full of berries gave around 500g of fruit once they were removed from their stalks. As I didn’t have enough I froze them until I was able to pick some more. So the next time I went out I took a carrier bag to fill up with fruit – disaster almost struck because when I got to the tree I’d picked the fruit from last time all the low hanging fruit had gone and there was only the fruit at the top of the treeleft, which was out of my reach. Luckily there were two more trees near by and my bag was soon full. It’s a slow laborious task taking the berries off the stalks so I did it over a couple of evenings. I would fill up a plastic bowl till I had about 500g of berries and then pop the berries on a oven tray and put them in the freezer. 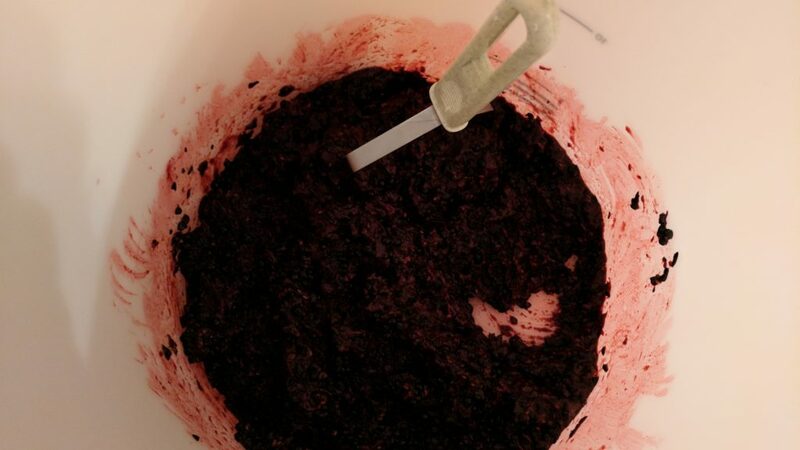 After 3 nights I had 2kg of frozen berries in boxes and I was ready to start making the wine. I needed to buy a few things to get started and one of those was a fermentation bucket. Typically enough the day I went to buy it they didn’t have any left in stock so the start date had to be put off by a week while I waited for the order to come in! So one Saturday evening after sterilising all the equipment I would need I set about starting off the process. The first thing I had to do was to put all of the berries in the bucket and mash them up. Now when I originally froze them and was transferring them from tray to box any that fell on the floor melted and squashed almost instantly so I didn’t think it would take long for them to defrost…how wrong I was! 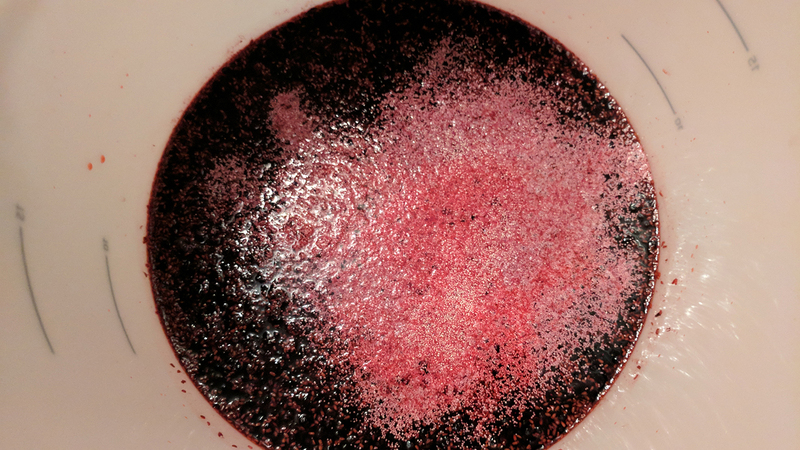 It was gone midnight by the time I had the berries sufficiently mashed to take the process forward so I added the water and the chemicals it had recommended in the article, put the lid on and went to bed! The following day I added the yeast and the other ingredients like black tea and lemon juice and waited for everything to start happening! 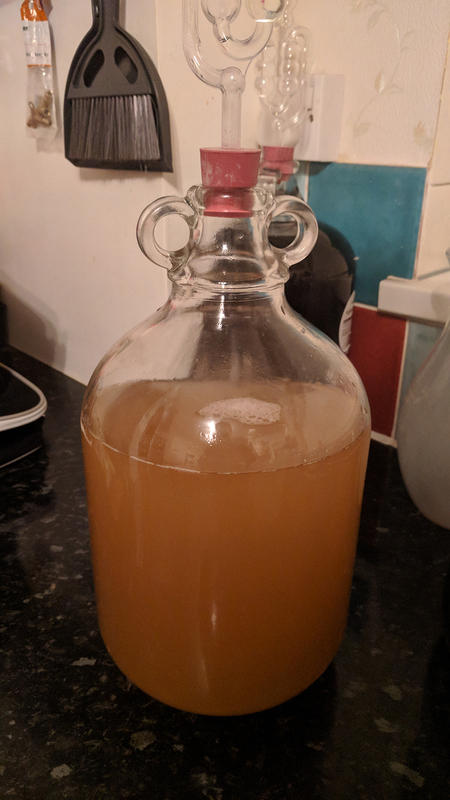 I tend to worry and panic about things so when I was expecting “a stormy raft of bubbles will form and a dark earthy smell will erupt from the depths” as it had said in the article I was worried when I returned from a few days away with work to find that there didn’t seem to be anything happening! 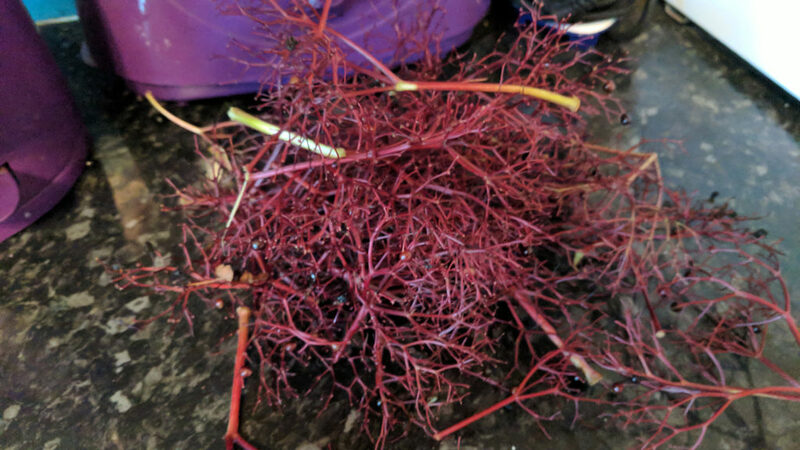 What I did find though was that when I tipped the bucket up the layer of berries that had formed on the top moved apart and huge bubbles came up from the bottom and there was that earthy smell that the writer had mentioned. 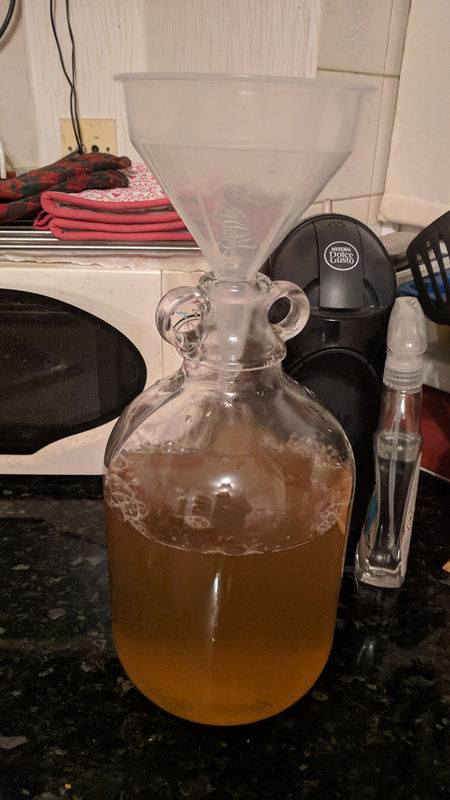 After a week I was ready to transfer it to the demijohn that had come out of the kit that Sarah had originally bought me. I decided that the best thing to do was to scoop the remnants of fruit off the top of the liquid before I started to transfer it. I used a slotted spoon which allowed the liquid to drain off and after a while I had a dish full of soggy mashed berries. Then I put a muslin straining bag I had bought online into a funnel. The original article suggested using an old clean tea towel but I didn’t think I’d get away with that. I then used a jug to scoop up the liquid and pour it into the funnel. 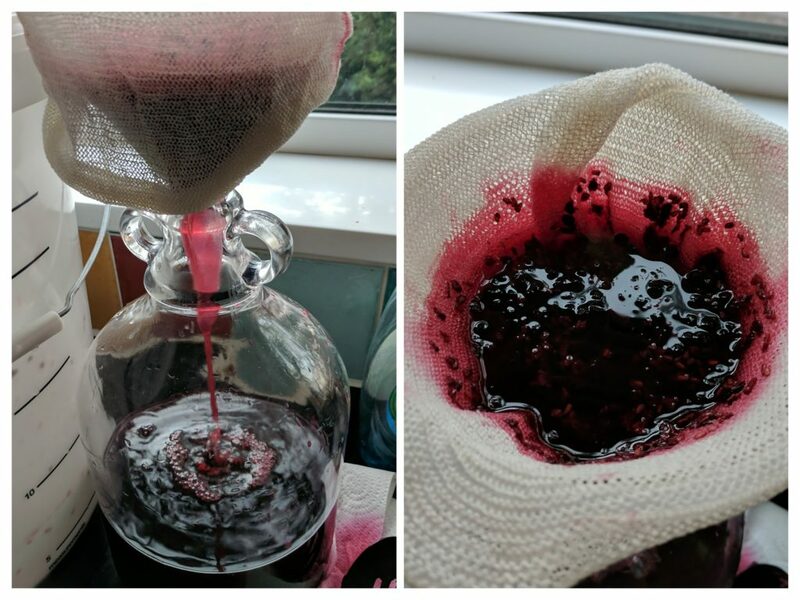 It worked really well and soon I had a demijohn full of liquid and even more fruit pieces that I had emptied out of the muslin. 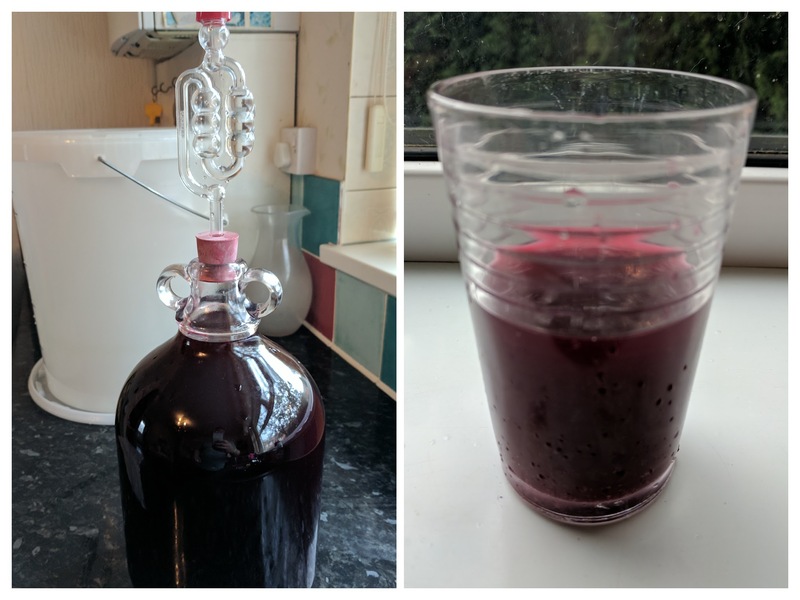 There was quite a bit of liquid left over after the demijohn was full so I poured some of it into a glass and had a taste! It was quite fruity and seemed to be quite alcoholic so I guess that was a good sign. It took me a little while to get the amount of water in the airlock right but when I had it started to bubble away! I then had to tidy up the mess! 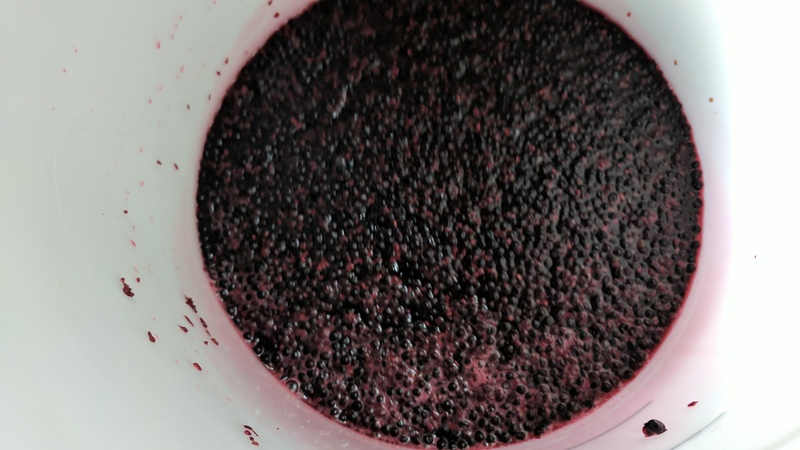 One thing I found about the wine making process is that the first week or so is really exciting with all sorts of things to do and happening to the wine. After that it tends to get a bit dull as it then becomes a bit of a waiting game with months of a demijohn just sitting there. 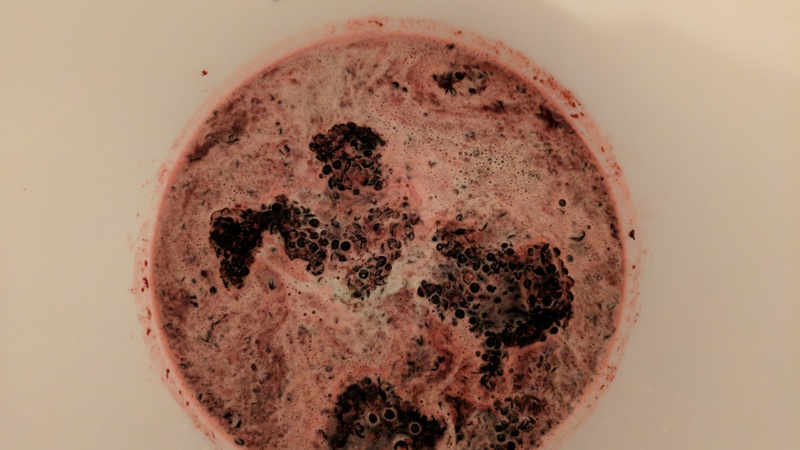 The wine I started in October 2017 is unlikely to be ready to drink until Christmas 2018 at the earliest – I intend to bottle it sometime during the summer. 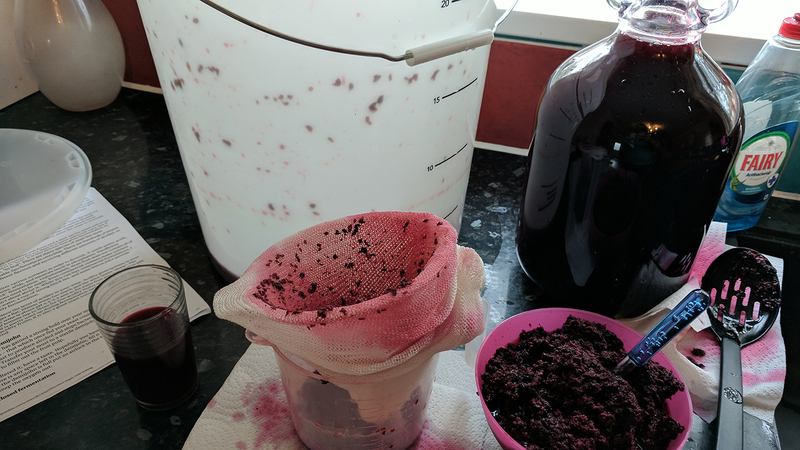 The only thing I have had to do since the end of the first week was to rack the wine into another demijohn, which I did in January, to get rid of the lees that were forming in the bottom. 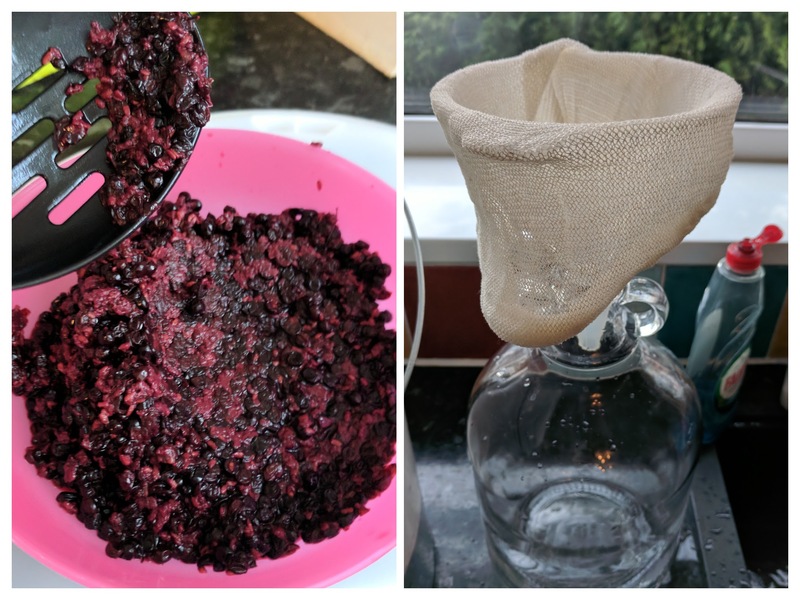 That did raise a small problem as the new demijohn was bigger than the old one and with the amount of wine that you lose as you transfer the liquid and the additional space I had to add quite a lot of water to it so I hope that doesn’t adversely affect the flavour. I have since discovered that although I thought I would have to buy bottles to put it in and have been quite happily throwing screw top bottles into the recycling because I didn’t think I could use them that is not the case! 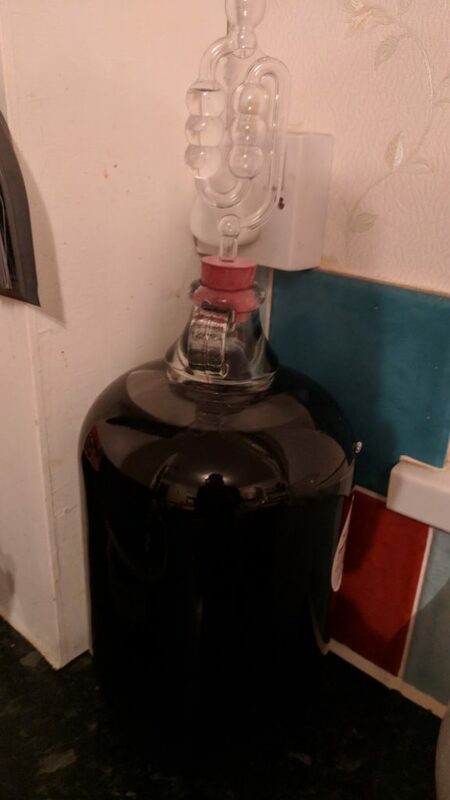 I discovered that you can buy Novatwist caps which allow you to reuse screw top bottles which is a result – I went and rescued some from the recycling bin! 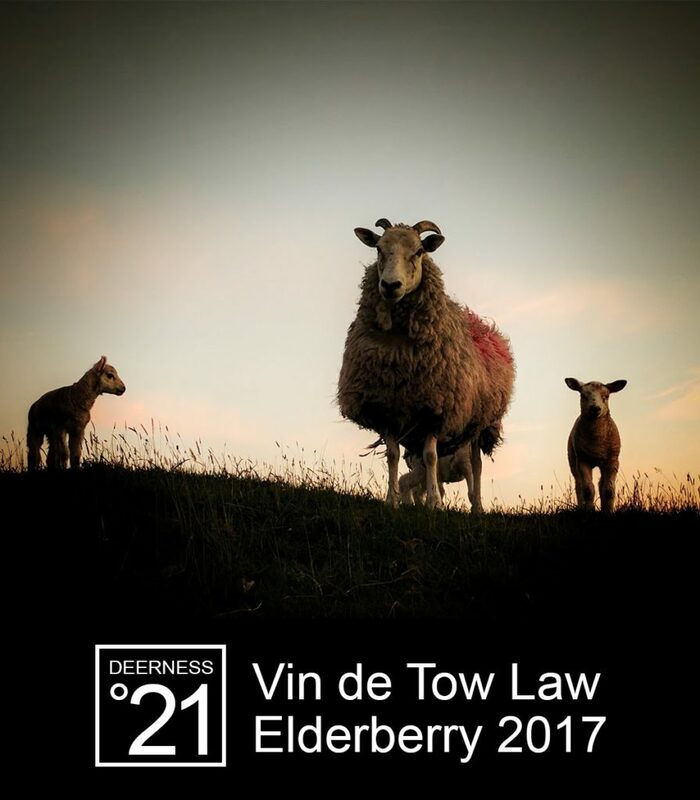 I’ve even been designing my own wine labels which I intend to feature my photographs of the local area so that every bottle will have a different image! This is one of them! And of course I now had an empty demijohn so what should I do with that then! Then a friend of mine gave me inspiration via a post he did on Instagram. There is a legend of a magical drink, the Mead of Poetry. 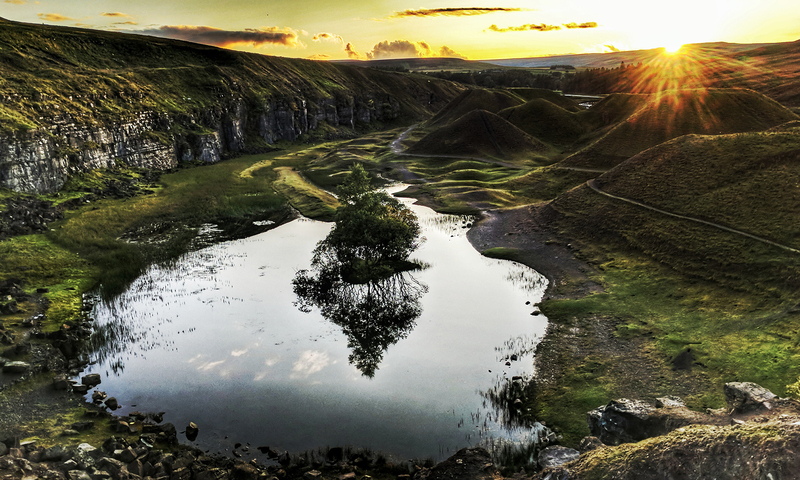 Created by dwarves using the blood of Kvasir, hidden away by giants and later retrieved by Odin, it was then kept for the use of the Vanir and Aesir. Said to give the gift of Poetry to all who drink it, some was given to select groups of humans. Each year a little was kept and added to the new Mead being fermented, so the legacy of Kvasir’s wisdom could continue unbroken. 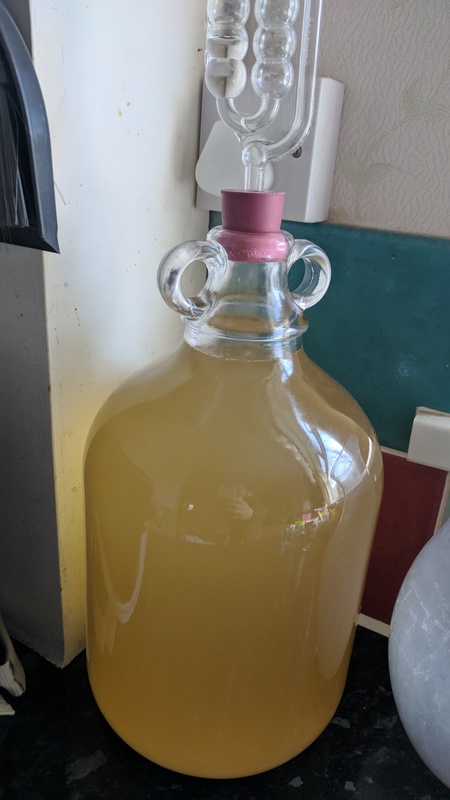 So towards the end of January I set off my second batch of wine but this time I’m making mead. It was very simple as I am following this recipe. I used two jars of honey and some yeast to set it off. As there is no fruit to strain out the primary firmentation can be done in the demijohn filled two thirds full so there is oxygen to feed the yeast. Once it’s done after 10 to 14 days you simply fill the demijohn up with clean water and reapply the airlock. That should hopefully be ready for Christmas too!